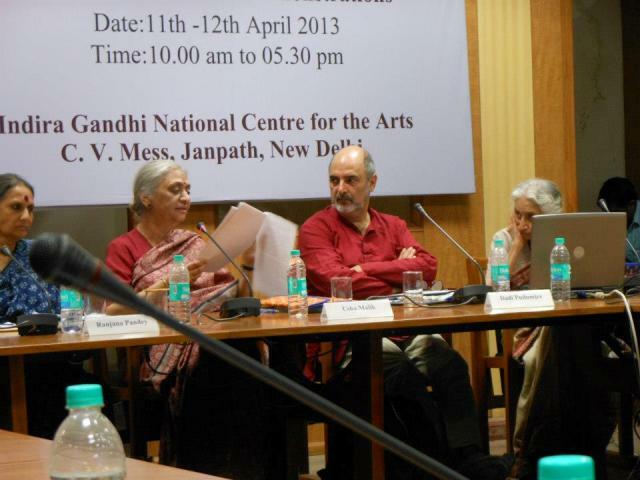 We are delighted to publish the words of welcome said by Dadi Pudumjee, President UNIMA Union International de la Marionette, in a meeting in New Dheli on the occasion of the Ishara International Puppet Festival, held from the 8th to the 16th April 2013. 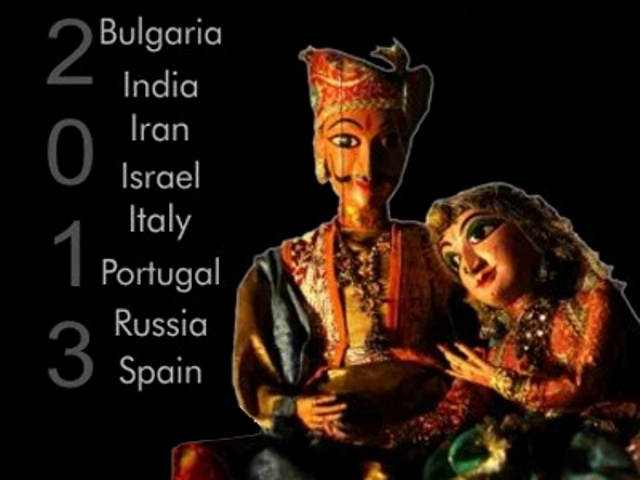 Words that speak about the particularly interesting time puppets living in India, with a strong desire to bring together the traditional language with the contemporary puppet theatre. We hope to publish other contributions made during the meeting in New Dheli. Good morning puppeteers from the various states of India, friends from abroad attending the 11thIshara International Puppet Festival, UNIMA members, excellences and distinguished guests. We are privileged to be here at the IGNCA all together for these two days of research, discussions and lecture demonstrations. For this I need to thank both the The Ministry of Culture, Indira Gandhi National Centre for the Arts, and SangeetNatakAkademi; all who have supported this two day seminar and meeting . Some months ago at a puppetry meeting, there was a discussion regarding traditional puppeteers exploring newer techniques and themes; which led to exchanges, of how can and why should a traditional puppeteer possibly digress from his own form and technique and create new themes and productions. The fear of loosing what is termed as tradition was clear in our exchanges, but at the very same time it questioned, what constitutes a tradition for the very practisoners , scholars, folklorists and grant givers. 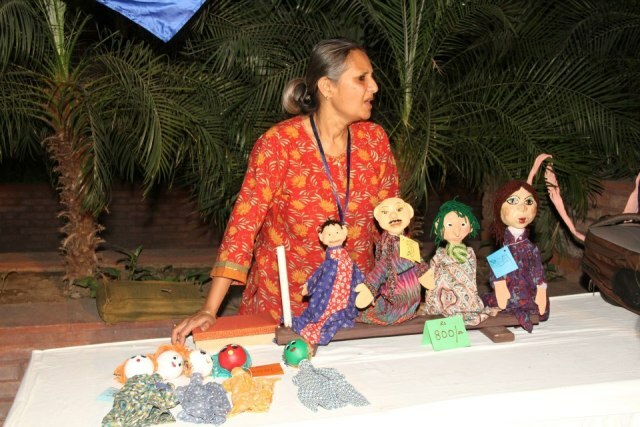 This led me to request the IGNCA and the SNA to invite puppeteers and others connected to puppet theatre, to meet and observe what could be termed as issues in contemporary expressions and practises, bot for the traditional and modern puppeteers of India. Friends, we have managed to invite persons from various parts of our country which is rich in varied forms of puppetry string, shadow, glove, rod and modern techniques all who have been working for generations continuing their lineage, today however at the cross roads of developing and enriching their living art form or slowly languish into the shadows of time and museum displays. For generations, artists have been creating and taking forward what we term as tradition or what seems to look like one, however just scratching the surface one will find that the change however slow is inevitable, wither it be internal or externally created, wither it be from an exchange of ideas and practises that work and hold an audience, or due to an external element who may dictate what is correct and what isn’t..
Jut in my 32+ years in Delhi I have seen through the many national festivals and interactions with puppeteers, that what we see as tradition is not always a static form, it is living and is the very reflection of the theatre of mankind, the puppet embodies the soul of its creator the puppeteer, it visualises his thoughts, his beliefs, religion and practises, above all it is the essence of its creators aspirations and goals. As we all know India has all the four different techniques of puppetry spread over many states, and a few exceptions like the rod and string puppets of Tamil Nadu. It is home to the largest coloured Shadow puppets in the world the ToluBommalatta of Andhra Pradesh, the glove puppet traditions of Kerala, Uttar Pradesh, West Bengal where the puppeteer sits and performs in full view of the audience, as in many modern puppet theatres do. Indian puppetry and its Folk theatre and dance forms go side by side each nurturing and borrowing from the other. Puppetry does not live in isolation it is a living art form and is continuously, absorbing and changing. This process has been going on for centuries this change today, is evident from one festival to another. Puppeteers have been adapting their art in the last 40 years to educate and entertain, agencies both Government and non governmental, have commissioned works on health issues, family planning, banking, HIV and substance abuse, ideologies of Mahatma Gandhi, the story’s of other religions besides are own, this transformation has been slow but very obvious. Though the traditional puppeteer lives in villages and remote corners of our country, the modern puppeteers are urban based, both face the dilemma of what and how does one survive, the onslaught of new media, TV, the dazzle of commercial film and the very needs of day to day existence, food, shelter, social issues, eroding family ties and values. The younger traditional puppeteer is not what he or she used to be even 5 years ago, he is far more literate and is aware of where he stands, and what he is loosing or gaining in his day to day existence and progress.The modern puppeteer is exposed and has excess to far more then what he had some years ago. Both however are contemporary, they may just look and believe different. All this leads to an immense melting of ideas and aspirations, change, appropriation, dictation what should be or not, revived and reconstituted traditions, newer techniques and materials, all saying that we do not want to be museum pieces in glass cases but rather a living and vibrant art. then this is the time to discuss and talk about it, these are very important two days and let us do justice to them and to our eternal art of puppet theatre. It touches us to identify our interests with one another. not emotion and sentiment alone. In other words tolerance and a respect for those whose ways are different from ours. When reason is abandoned, violence results. We then resort to coercion instead of persuasion. We must adopt, once again; the laws of reason-relive our old faith in humanity. And wishing you all a fruitful meeting of minds. NextThe devil appears in Bekecsaba, Hungary. Some ideas about the role and purpose of Shadow Theatre Museum of China in Chengdu.